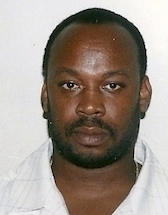 (CNS): Jamaican police say they have intelligence that Christopher ‘Dudus’ Coke is still in the country despite rumours the alleged drug lord had fled. Police Commissioner Owen Ellington said yesterday that he was confident Coke who is wanted by the US to face arms- and drug-trafficking charges, was in Jamaica and he would be apprehended. The security forces now plan a renewed a push on Monday to arrest him the country’s police commissioner added at a press briefing on Friday. The death toll has risen to 76 as a result of violence triggered by attempts of Jamaican authorities in the last week including 73 civilians, two police officers and one soldier. "The latest intelligence we have is that Coke is still in the jurisdiction," Ellington told the media. "He is now on the run and we will catch him, we will execute that warrant and he will face justice. The difference with Coke is that he and persons loyal to him believe that he is above the law. He believes that he should not be arrested in Jamaica and he should not face trial for crimes he has committed in a foreign country." Last Monday, a joint police/military team launched a major offensive against a militia loyal to Coke. According to reports in the Jamaican Observer, his supporters had mounted booby-trapped barricades at all entrances to his Tivoli Gardens base and had started shooting at police who had tried to clear the blockades. They also torched two police stations and the Coronation Market in downtown Kingston. The security forces said Coke’s militia was very well-organised and mounted a stout defence against their efforts to stabilise the notorious stronghold. "They were very well-organised; they knew what they were doing. We encountered very sophisticated defensive layouts. The resistance was fierce and lasted for about 12 hours," Colonel Rocky Meade, head of communications of the Jamaica Defence Force, said. The soldiers showed journalists a slide show and video footage of improvised explosive devices rigged to barricades, plastic explosives, shrapnel, rifles and handguns recovered, men walking freely with firearms and using binoculars from high-rise buildings in the community. The soldiers also found that the explosive devices were attached by wires to remote devices which led to houses in the community. The security forces also said they found large amounts of local and foreign currency in Coke’s office. The security team now say they have recovered 22 illegal weapons, 8,000 rounds of ammunition, police and military outfits and other military paraphernalia. Authorities also said they had detained more than 700 people. At that briefing, Ellington reiterated government denials that members of the security forces have burned bodies. According to CNN resident of Tivoli Gardens told them that they saw security forces torch dead people and that they feared the authorities were burning bodies to cover up the extent of the violence. "I literally saw them wrap up men in sheets and put tires on them and burn them," one man told the international news organisation, adding that the people were already dead when their bodies were burned. Amnesty International has called for an independent investigation into the deaths of the civilians killed since last Sunday and security forces have admitted killing unarmed civilians because of the pressure of the operation. Coke, the man at the centre of the violence what has propelled Jamaica on to the world media stage, has a heroic reputation in Kingston having been likened to Robin Hood and Jesus because he has helped the community by handing out food, sending children to school and building medical centres. On the face of it, the (recent deaths in Kingston) are due to defiant citizens rising up against initiatives by the security forces, on orders of the government, to detain Christopher "Dudus" Coke to answer US extradition charges. The spread of the killings and mayhem has been blamed on various factors, including payments to opposing gangsters and opportunism by local criminals. At the time of writing, Coke had not been captured. ….For the sake of whatever future Jamaicans must face when this crisis passes, continued analysis of these sad, tragic developments is vital. And the most obvious truth emanating from the Dudus saga….is that Dudus in not the real enemy of which Jamaicans should be wary. Dudus is a fall guy and the media hype surrounding his story is a smokescreen.